Many in Hollywood were nervous that one of their most famous peers was going to tackle the subject of WWI. It was released shortly before the Armistice so it did not help boost national morale. But it did end up as one of Charles Chaplin's most popular films and it was particularly popular with returning doughboys. 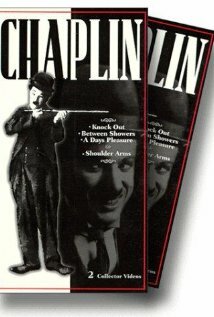 Originally planned at five reels; outtakes were preserved in Chaplin's private collection. True Boardman, Marion Feducha and Frankie Lee played Chaplin's sons in cut domestic scenes intended for the beginning of the film. Peggy Prevost and Nina Trask portrayed draft board clerks, Alf Reeves a draft board sergeant and Albert Austin a doctor in a cut scene at the draft board office.